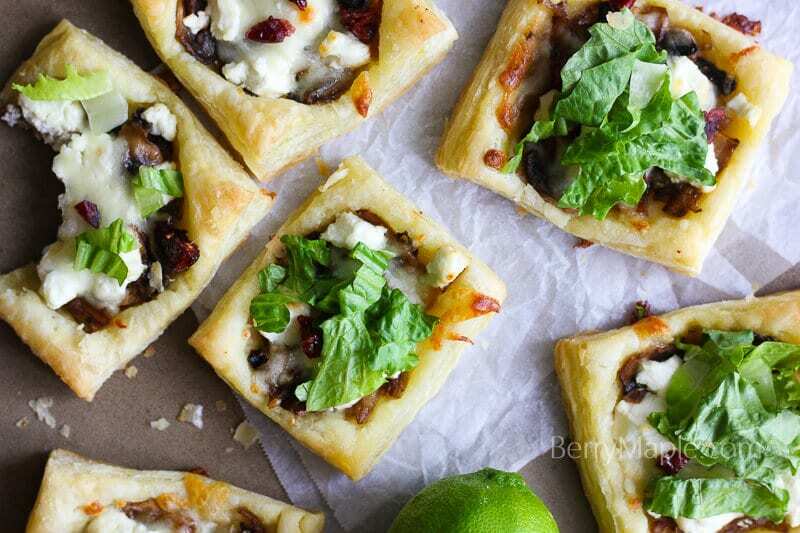 Crunchy sweet and salty goat cheese mushroom tarts for a delicate afternoon treat! As soon as i found puff pastry dough in the frozen section of my local store, i couldn’t wait to use it! Tarts… thats what came to my mind first. I added some goat cheese for saltiness and cranberries for a sweet touch. Crunchy lettuce leaves on top, yum! 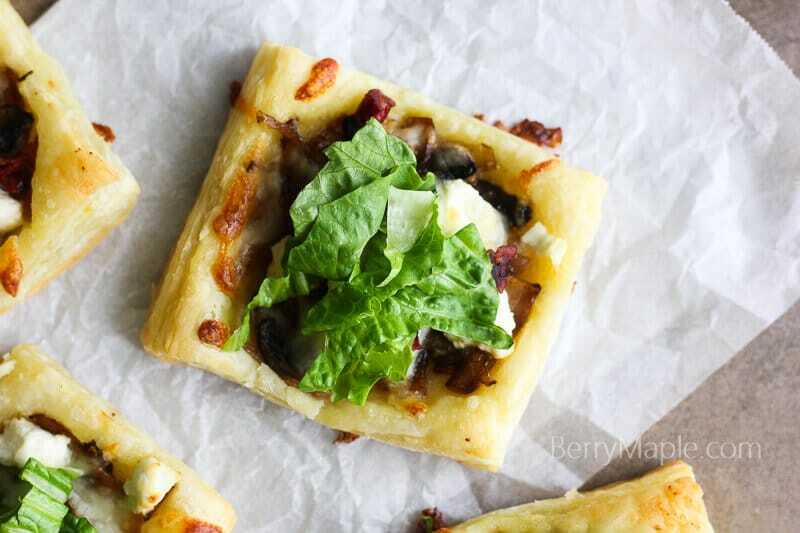 Attention – this goat cheese mushroom tarts are very addictive! Had to make them two days in a raw ???? Line the baking sheet with foil or baking paper and spray with some coconut oil spray. Place each pastry square on a prepared sheet and poke holes in pastry with fork. Top each pastry square with goat cheese, sauteed vegetables and mozzarella cheese. 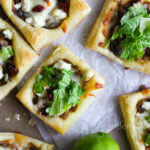 Garnish baked tarts with lettuce( cut it in stripes) and cranberries. Enjoy!